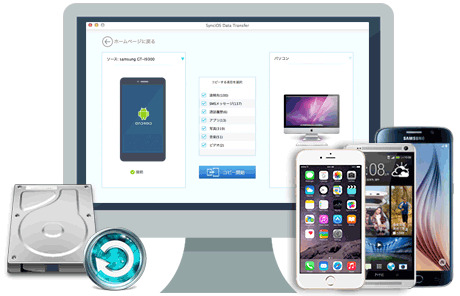 *Phone to phone transfer tool for Android & iOS on Mac. *Transfer various data like contacts, messages, call history, photos, music, videos and apps. *Backup your phone (iOS, Android) to Mac and transfer saved backup files to new phone. 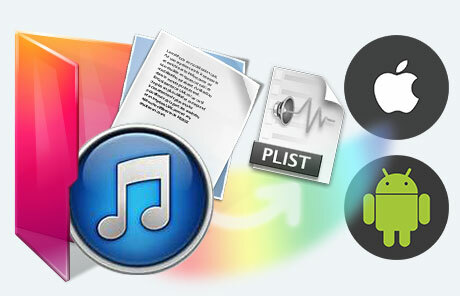 *Extract iTunes Music and Playlists for iDevice/Android Phone. *Fully compatible with iOS 10 and the latest Android devices. It?s a All-in-one Mac Phone to Phone Data Transfer. If you are warring about data loss when switching to new phone, or sync your phones to Mac computer, Syncios Data Transfer for Mac will do it without any lose. Just one click for all mac users. 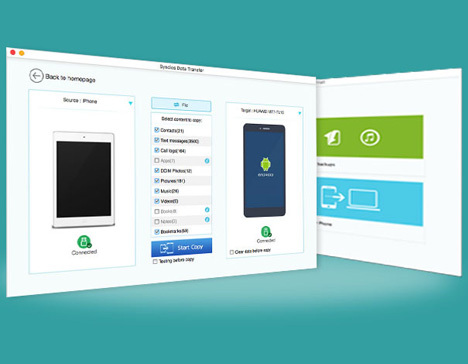 Transfer almost all files, including contacts, video, SMS, photos, call logs, music, Ebook and apps between phone to phone! Selectively transfer data between Android or iOS devices. To avoid losing important data, it is very necessary to backup all important files to your Mac so that you can easily get them back whenever you lost them. With Syncios Data Transfer for Mac, you can choose all file types you need, including SMS, contacts and music, even make backup in just one click. You can recover these files easily whenever you need. Easily back up data on you iPhone, Android or other mobile to Mac and then retrieve them at any time you would like to. View and access existing iTunes/iCloud backups of iPhone, iPad and iPod and retrieve data to device with ease. Sync collected songs & playlists from your iTunes backup. Moreover, you can also transfer iTunes backup contacts, SMS, videos, photos to your other new Android or iOS device with ease! It works perfectly with almost all Apple and Android devices: iPad, iPhone, iPod, Samsung, HTC, Sony, MOTOROLA, LG and more.